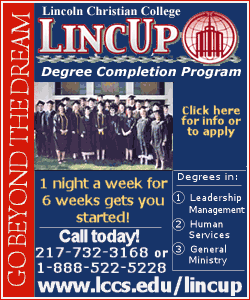 DETAILS: For an appointment, call Lucille Brewer at 947-2702 to sign up, or visit www.cicbc.org. WHERE: Logan County Fairgrounds. Use Short 11th St. entrance. DETAILS: For an appointment, visit www.cicbc.org. DETAILS: Concert features the Lincoln Area Music Society Chorale and Orchestra. Free. DETAILS: For an appointment, call 1-866-GIVE-BLD (1-866-448-3253), ext. 56, or visit www.cicbc.org. DETAILS: Half of grilled chicken, mashed potatoes and gravy, corn, bread and butter. Tickets on sale now at City Hall or from any Heritage Days Committee member. Call 732-8332 for more information. Proceeds help fund Lincoln Heritage Days and Lincoln fireworks. "Quarter Midget Arrive and Drive"
DETAILS: A chance to drive a real quarter midget race car. All safety equipment will be provided and the speed of cars will be modified. If your child is interested in racing, this is a great opportunity to take a test drive. Fee. Please visit www.alqma.com for more information. DETAILS: LCCS is hosting this fifth-annual event for Lincoln and the surrounding area. Age group awards, door prizes and LCCS medals to all finishers. Post-race party. For more information and application, visit www.lccs.edu/runforyourlife/. Reduced rate for registration received by April 14. Race day registration and packet pick-up 2-3:30 pm in the Laughlin Center. DETAILS: The whole family is invited to come fly a kite. There will be face painting, and the first 15 kids will receive a free kite. Concession sales to benefit Lincoln MS Walk. For more information, please call 732-8362. The Parent Mentor Project and Logan County Family Connection will provide the kites and pay for the snacks and beverages for all the families with special needs children. Please call Leslie Keller, parent mentor, at 732-2316 to register or with any questions about the event. DETAILS: If you are planning to attend, please contact either Mr. Kocka or Vanessa Tibbs. WHERE: Carroll School, 111 Fourth St. DETAILS: Please contact Leslie Keller, parent mentor, at 732-2316 or lkeller@adi.org with any questions or concerns. WHERE: ADI Educational Center, 305 N. Kickapoo St. DETAILS: Join ABATE of Illinois on the 2008 Lincoln Circuit Ride, riding the same roads, visiting the county line markers where Abe crossed into each county and visiting the same courthouses where he practiced law on the Old 8ith Judicial Circuit around 1850. A bus tour will accompany the motorcycles and other vehicles. Presentations will be made along the way by local historians at the markers and historic sites. The ride is in two parts: April 26-27 and Oct. 11-12. The first weekend starts in Springfield, with registration beginning at 8 am April 26. After a tour of Lincoln's Home, the group will leave at 9 am from Eighth and Capitol, just north of the home. The tour will stop at each county line marker on the way from Sangamon County to the Metamora Historic Courthouse for presentations and lunch. The afternoon will be spent traveling to Postville Courthouse, visiting the county line markers along the way, and the day will end at Lincoln's Holiday Inn Express after several presentations. On Sunday the group will travel to Mount Pulaski Courthouse, Clinton Courthouse, DeWitt for lunch and Monticello Courthouse, stopping at each county line marker along the way and ending at the marker on Piatt-Champaign County line. The second half of the circuit will begin Oct. 11 in Champaign, at Carle Park. Travel will be along the Lincoln Road toward Danville and then on to Paris Courthouse, Charleston Courthouse and lunch, and Shelbyville, where the group will spend the night at The Shelby Inn. The route will follow many old roads and visit the county line markers along the way. On Sunday the group will head to Sullivan, Decatur and Taylorville, ending at the Christian-Sangamon County line marker. The cost is $10 per person per weekend. There will be an additional cost for the bus accompanying the tour. Visit www.lincolncircuitride.com for more details. 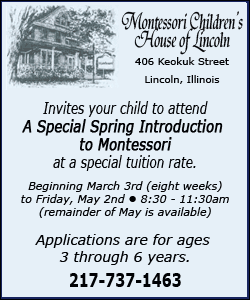 For further information, contact Rose Connolly at 217-891-8719.